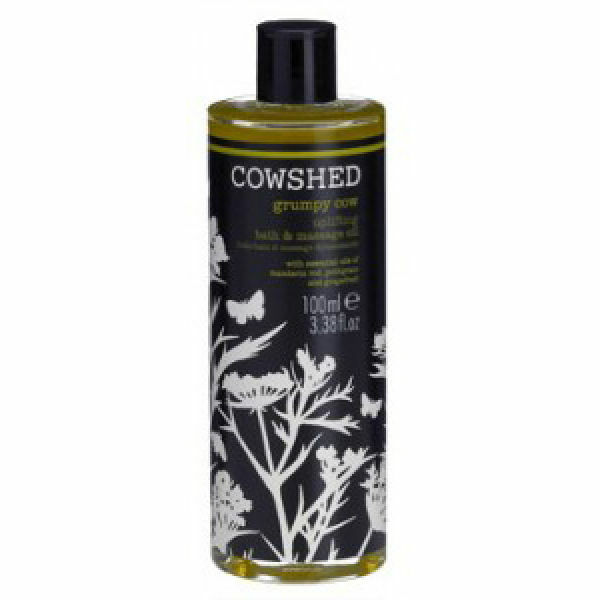 Grumpy Cow Uplifting Bath & Massage Oil is a citrus blend with essential oils of Mandarin Red to invigorate the senses, Petit grain to cleanse and purify, and Grapefruit to stimulate circulation. Leaves you feeling energised. The minerals, vitamins and proteins of almond oil naturally nourish the skin while Calendula (marigold) rejuvenates. Cowshed products contain no parabens, no petrochemicals and are free from sulphates, artificial fragrances and colours. They are suitable for vegetarians and have not been tested on animals. vitis vinifera (grapeseed) oil, prunus amygdalus dulcis (sweet almond) oil, glycine soja (soya) oil, sesamum indicum (sesame) oil, calendula officinalis (calendula) flower oil, ***cannabis sativa (hemp) seed oil, *citrus reticulata (mandarin red), vaccinium macrocarpan (cranberry) seed oil, *citrus sinensis (***orange sweet), *syzygium aromaticum (clove bud), *santalum album (sandalwood), *coriandrum sativum (coriander), *pelargonium graveolens (geranium bourbon), *citrus paradisi (grapefruit), *citrus aurantium spp amara (petitgrain), *elettaria cardamomum (cardamon). **limonene, **linalool, **eugenol, **isoeugenol, **citronellol, **geraniol, **citral.